Check out the official trailer of FIFA 14 for PS3, Xbox 360 & PC right here on our blog. FIFA 14 launched for PS3 | PC | Xbox 360 is an amazing and most advanced than most previous versions. With all new features and packs makes it really awesome. Pure Shot – lets FIFA fans feel what it is like to connect with the perfect strike while a brand new ball physics system called Real Ball Physics will ensure the trajectory of the ball behaves as it would in real life. The combination of Pure Shot and Real Ball Physics will open the door for the most rewarding and varied shot selection in the FIFA franchise to date. Precision Movement – recreates the dynamic movement of real-world players. Precision Movement was created from new locomotion technology developed by the FIFA team. Locomotion is fundamental to all areas of gameplay, determining the way players move on the pitch. Real Ball Physics – ensure the trajectory of the ball behaves as it would in real life. Players will try to set up for the best possible shot, but that will vary depending on where they are on the pitch and how the ball is delivered to their feet. Protect the Ball – is expected to enable players to fend off and block opponents from the ball while running at any speed. Now, when a ball carrier is being pulled while advancing, they will be able to counter this by stepping in front of the defender and using their body to shield the ball. With the ball at their feet, players will be able to step into the opposition and hold them off to maintain possession and make a pass. Team Intelligence – players will have better decision-making and teams will play smarter on both the attack and defense to bring the beauty of the game to life. Ultimate Team – you can customize your squad to play any style of football with all-new FUT Chemistry Styles. FUT Chemistry Styles and Loyalty will make each player and every team unique. These aspects replace player formation and morale in the mode. There are a variety of different FUT Chemistry Styles for goalkeepers, defenders, midfielders and forwards. Every Chemistry Style affects different player attributes, which makes each individual play styles stand out within the game. Co-op Seasons – a brand new Online Mode. Anyone can play with a friend online against two other friends anywhere in the world in 2v2 ranked online play. Start from the bottom and make your way to the top of Division One, win a League Title and reach greatness together. Global Transfer Network – Clubs will start out with between one to four scouts on staff. Larger clubs will start with a number of scouts, while smaller sides may only have one available. All clubs can eventually hire up to six scouts to evaluate talent, and scouts themselves are rated from one to five stars depending on their influence and ability. CPU with Dual core processor (Core duo 2 or better). Intel Core2Duo @ 2.4Ghz on Windows XP / Windows Vista / Windows 7. DirectX® 9.0c Compatible 3D accelerated 256 MB video card or equivalent (must support Shader Model 3.0 or above). You can pre order the game on Game4u, Snapdeal. The cost of FIFA 14 for PC is Rs. 2,499. Milestone Interactive, the Indian game marketing, retail and distribution organization has announced the game to be rolled out in India on 26th Sep 11.45 pm onwards. Though Cricket is the most popular game in India, Football also has its share of followers too, with the launch of FIFA 14, there will be huge fan following for this game as well. The lucky cities to be included Mumbai, Pune, Chandigarh, Ludhiana, Gurgaon, New Delhi, Bangalore and Chennai. Fans attending the midnight launch will also be eligible for some exclusive goodies, such as the lenticular “Lionel Messi” FIFA 14 steel book. 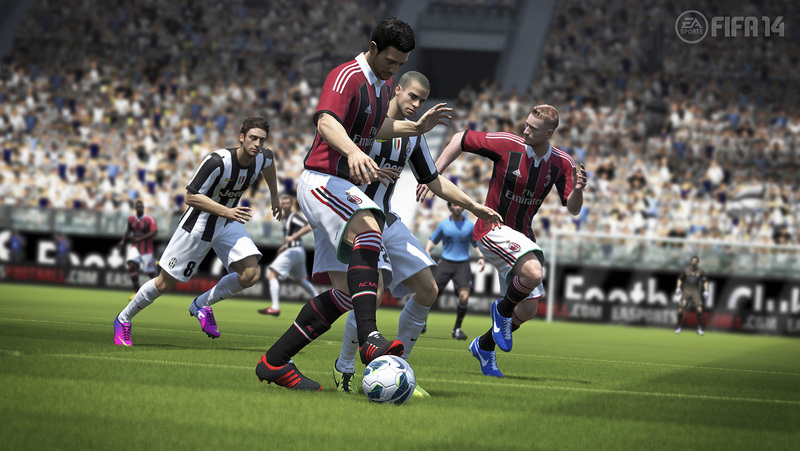 FIFA 14 is one of the most eagerly awaited games and will be powered by Ignite Engine. It will also boast of over 60 stadiums and 32 real-world venues. FIFA 14 will also be including licensed Brazilian, Chilean, Argentinian football clubs and Brazilian, Polish and Wales national team have also been licensed to participate in the video game. So who’s going to be there at the launch ? Looking forward to it. You can download on your iOS & Android devices also for free. For more news stay tuned to our blog. Follows us on Facebook or Tweet to us @techourview or by typing #techourview. GTAV should hit retail Sept. 17 for Xbox 360, PlayStation 3, and PC. Are you a fan of Rockstar Games! !